"The difference is that it's already broken, but I use the pieces to rebuild it. The difference is that the heart has a second chance, and maybe it'll get broken again, but it's already shattered, so maybe the fall won't be that a bad." Claire Contreras... I am in love with your books!! Seriously addicted!!! 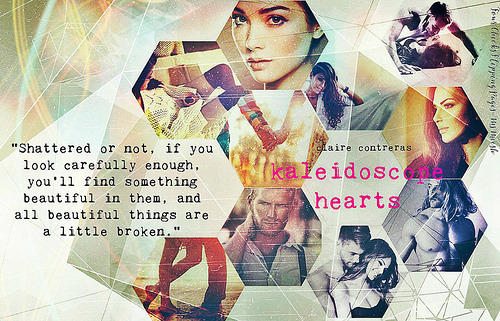 I don't know where to even begin to express how much I am in love with Kaleidoscope Hearts. This book seriously took my heart and had all the FEELS!!! I love when a book allows readers to be truly immersed with the characters, the story and emotions and Kaleidoscope Hearts did that and so much more. Claire Contreras allowed readers to truly connect to her characters as she stripped each of them raw leaving them exposed and vulnerable in which allowed them to feel real. 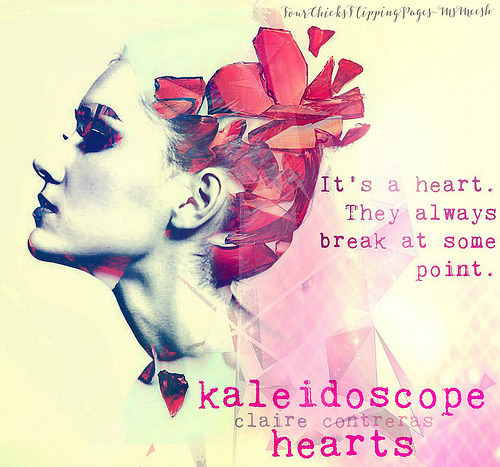 Kaleidoscope Hearts is one of those books that I can't fully review without spoiling the book since I honestly don't want to say much since this book is about experiencing the journey with Oliver and Elle as they navigate their past, their present, and their future. The story of Oliver and Elle is a complicated love story where growth, maturity, loss, heartache, and love allowed them to truly comprehend what they really want in life and love. This is a story where a broken heart begins to get slowly pieced back together. A story where a shattered heart is not considered ugly, flawed, or damaged but a heart that can be transformed, fixed and healed. A story where for some they get to experience two loves in their life. A story that is centered on friendship and families. A story where two people finally got their shot at making things right. A story that reminds us all LOVE HEALS. And so if you want to read that kind of story, then I highly recommend you to read this book because the writing alone is phenomenal and will leave you breathless. This book is beautiful from the beginning to end and a real page turner. I read and read, I didn’t even notice the time until I was done reading. The beginning of Oliver and Estelle’s relationship as teenagers were really sweet. The way they talked, cared and love each other without anyone knowing at times were heartbreaking, but beautiful. I loved how the story flowed from past to present and back. I love so many characters in this story, even though the main focused was Oliver and Estelle. The love of each family members and friends were great to read. Who wouldn’t love to be stuck with a brother who had hot friends? I know I wouldn’t mind at all (hehe). This is the first book from Author Claire Contretas I ever read and it will be the firs of many. I can’t wait to read more of her books.